The Hong Kong government hopes esports can be a tourism draw, starting with the ICBC (Asia) esports and Music Festival this weekend. We look at the prospects for success. 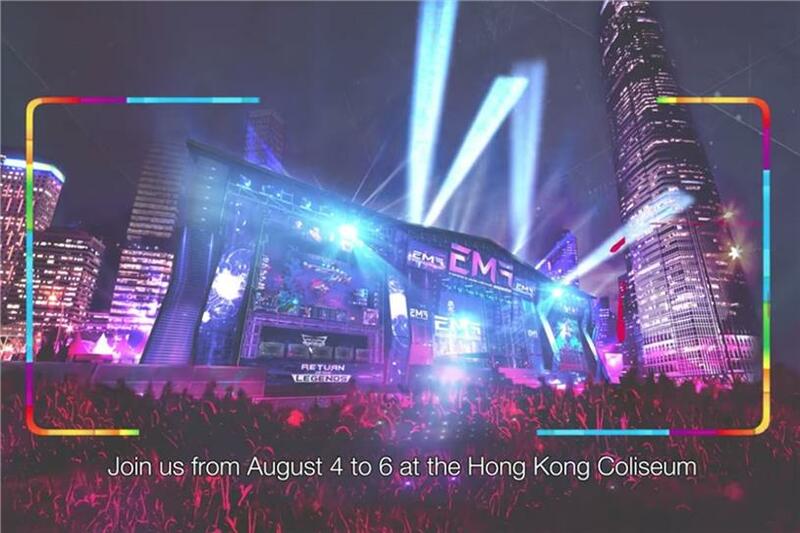 Hong Kong is hosting the ICBC (Asia) esports and Music Festival, its first major esports event, starting today at the Central Harbourfront. The organiser, Hong Kong Tourism Board, is pulling out all the stops, with a League of Legends tournament and a performance by K-pop band Super Junior, although critics have panned the HK$35 million investment in the event. 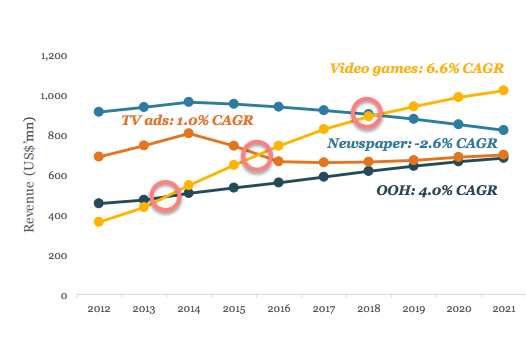 While it's yet to be known whether the festival is worth the price tag, PwC’s Global Entertainment and Media Outlook 2017 – 2021 report forecasts that video-game revenue in Hong Kong will surpass all traditional media starting in 2018, and will reach US$1 billion by 2021. Video games earned US$742 million in Hong Kong in 2016. In comparison, China’s total video game revenue last year, at US$15.4 billion, was the second largest in the world after the US. Cecilia Yau, entertainment and media leader at PwC, said Hong Kong’s geographical proximity to China, which accounts for over half of the world’s esports viewership, as well as its free-market structure, presents a window of opportunity for it to be an esports hub. Sales of video-game consoles were banned in China until 2015. "Hong Kong enjoys more freedom in terms of console imports and censorship on app stores, and it is always the first market for any tech launches," Yau said at a PwC briefing on esports held earlier this week. "This could attract mainland gamers to come over to shop." Wilson Chow, PwC's head for technology, media & entertainment and telecommunications head for Hong Kong and China, meanwhile, pointed out that major esports festivals usually incorporate music and anime elements. He said China’s strict censorship regulations remain a hurdle for such events to be held in the mainland. 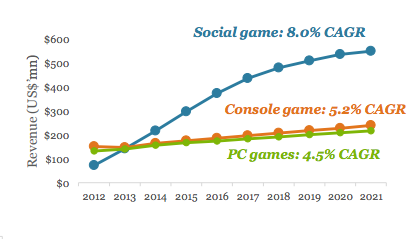 That said, the game-console ban in China was hardly a deterrent, thanks to grey-market sales, and esports gamers are also naturally more tech-savvy and able to circumvent censorship. An insider from a major game publisher said that despite its relative freedom, Hong Kong suffers from its smaller market value compared to South Korea and China. "A free market might be helpful for gaming, but esports is always concentrated on a few big titles such as League of Legends and Dota," said the source. "There are many different games, but not every game has a sports component, and there needs to be a critical mass to the game and it must make for enjoyable viewership." Meanwhile, PwC’s Yau said the growth of esports is very much dependent on viewership, just like any other sport. "The projected growth of occassional viewers and social and casual games (think Angry Bird and Candy Crush Saga) usually played on mobile phones, shows that the audience numbers for esports will continue to grow in the coming years," said Yau. Besides ad revenues from live streaming, Yau added that esports will be able to attract more big title sponsorship as audience numbers grow and the sports mature. Traditionally, esports have largely been sponsored by computer and electronics hardware brands, but more consumer brands have come on board as the popularity of esports has soared in the region over recent years. For example, Sprite sponsored the League of Legends Pro League Summer 2016 in China last year; the Coca-Cola-owned brand released limited edition collector cans in conjunction with the sponsorship. Gillete, meanwhile, signed a sponsored deal with Chinese esports team EDward Gaming in May. "Looking at the hefty fees commanded by broadcast rights of live sports events such as the NBA and the English Premier League, the price for esports could perhaps reach astronomical value one day," said Yau. However, esports have yet to overcome some level of stigma, and some brands are still cautious. The source that Campaign Asia-Pacific spoke to said the trend is evolving as esports begins to come out of the shadows. "A lot of companies that we started working with didn’t really know the audience initially, because it is not a culture that people embraced or tried to get to know in the past," said the game-publisher source. "Gamers have a very nerdy and geeky reputation. But since more people are into gaming now, and there is such a huge number of gamers in China, for example, more people realise that esports gamers are just similar to those who watch football or basketball." PwC's Chow said that unlike more mainstream sports, esports has a more segmented audience to allow brands to reach a narrower group of consumers. Added PwC's Yau, "Your grandfather and father could all be big NBA fans in the family. But when it comes to esports, its audience is young consumers whom many brands are targeting." It would be a mistake for brands to assume only males view esports, but the gender mix varies. "In our live events, the male and female viewers are 50:50," the game-publisher source said, added that overall esports viewership, however, remains predominantly male. On sponsorship for the esports teams, the source said the same principle applies, and brands need to get to know the fan base of each team. "Each of the teams that we work with is growing very rapidly, in terms of their reach and popularity. So it is actually good to get in at a reasonably early stage, where you can solidify your authenticity." Is esports a safe bet for advertisers?